Welcome to the home of Travelers Motor Club! We have dedicated ourselves to providing prompt and courteous service to our members. We offer emergency road service, travel assistance, personalized trip planning, travel discounts, bonds, legal fees, stolen vehicle reward, and accidental death and cash income benefits. Whether you are looking for an upscale hotel, an all-inclusive resort or something more cost-effective, Wyndham Hotels & Resorts has the right hotel for you! As a Traveler’s Motor Club member, you will save up to 20% off the Best Available Rate* at over 8,000 participating hotels worldwide. Discover the benefits of booking your vacation with Wyndham Hotels & Resorts as a Traveler’s Motor Club member. Our vast portfolio of hotels and resorts offer a variety of accommodations to meet your travel needs. Wherever people go, Wyndham will be there to welcome them.  Experience the all new Red Roof! Travel anywhere with peace of mind. My car had to be towed on two separate occassions and both times Travelers Motor Club reimbursed us extremely fast, all I had to do was send the receipts in and we got our money back in just a few days. Thank you Travelers Motor Club! I fell off of a 10 foot ladder at work and had to go to the emergency room and they kept me in the hospital for three days, travelers motor club was there for me. TMC paid me 500.00 for me personally it was a tremendous help to my family, thanks TMC for being there. I got burned from an accident at work and had to go to the emergency room and a few months later i sent Travelers Motor Club the accident information and they quickly sent me 200.00 of my emergency room bill back to me. Me and my family will always be members with TMC, its a great comfort knowing they go with us anywhere we go. We Can Answer Any Questions!